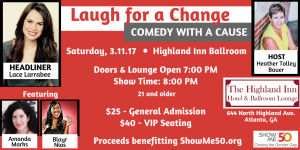 You are here: Home / Editorial / Atlanta Comedy Show Benefits Great Cause! 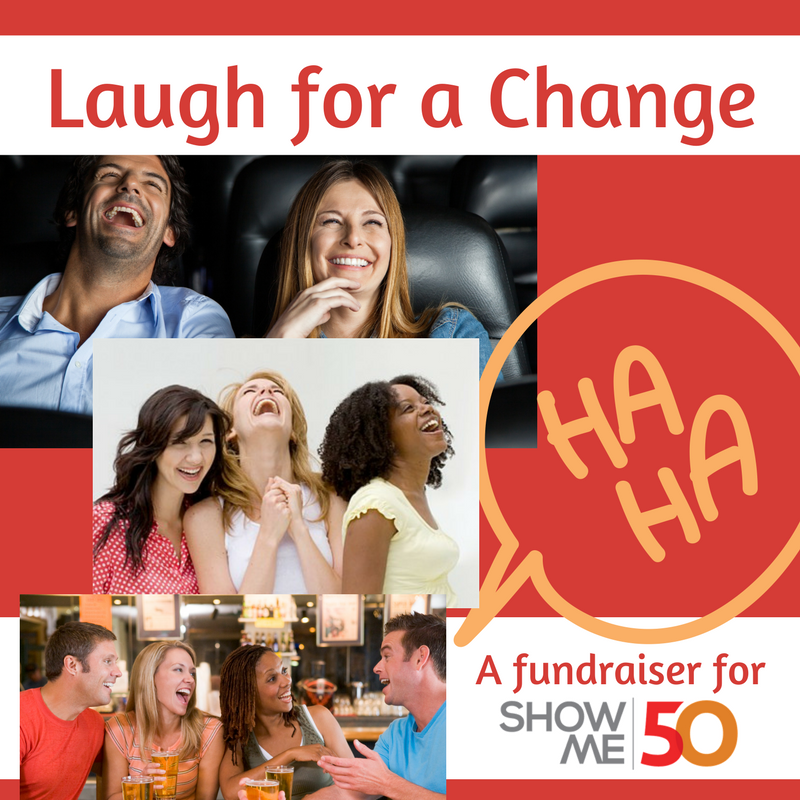 Are you ready to “Laugh for a Change?” Come out for a fun night at a comedy show supporting ShowMe50.org. 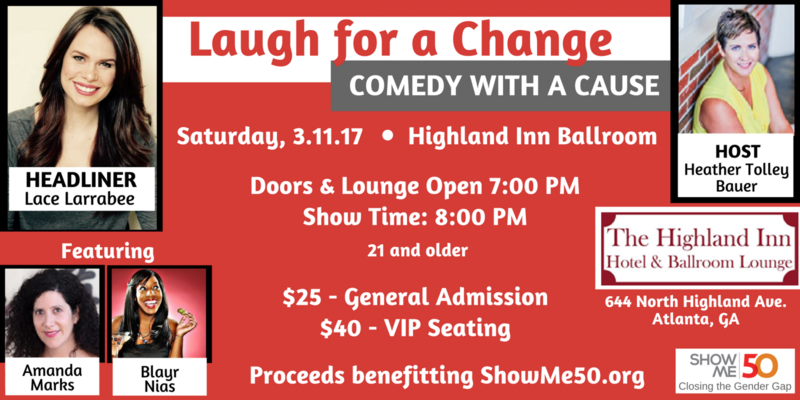 Join some of Atlanta’s funniest comedians as seen on FOX Laughs, The Laughing Skull Lounge, Punchline, Atlanta Improv, Jerry Farber’s Side Door and more. ShowMe50.org is a nonprofit promoting change by identifying and removing the barriers that inhibit the advancement of women in leadership positions in corporate America! Hosted by Heather Tolley-Bauer, self-proclaimed “Momedian”, headlined by Lace Larrabee and featuring Amanda Marks and Blayr Nias. All four women are infamous on the local comedy scene. Date night, group night or girl’s night out, it’s going to be all out fun! ShowMe50.org is a one-of-a-kind 501(c)(3) social impact organization whose vision is to see 50% women leading across America. Using social science research and proven influencing techniques, we are educating, inspiring and training individuals to collaborate for culture change. A level playing field in talent management helps companies optimize 100% of their human capital. We are a Lean In Partner. ShowMe50 Lean In Sandy Springs holds monthly meetings. Learn more at our website.